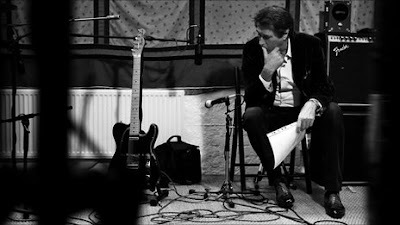 It took me almost 6 months but I finally picked up Bryan Ferry's Olympia (2010) album and I like it quite a bit. As most of you know, the album is a sort of Roxy Music reunion in all but name only. The album is closer to Ferry's own Mamouna (1994) than it is to any Roxy album but it's still quite good. Highlights for me include "Alphaville", the Scissor Sisters collaboration on "Heartache by Numbers", the album closer "Tender is the Night" (one of the best ballads Ferry's recorded in years), and the mammoth cover of "Song To The Siren" that holds the album together. The cover, with guitars from Radiohead's Jonny Greenwood, Pink Floyd's David Gilmour, and Roxy Music's Phil Manzanera, is so wonderful and perfect for Ferry's voice and interpretation that I almost forget the famous version by This Mortal Coil that I liked so much as a teenager.